← February 20, 2014 – A Hole in the Boat?!? February 24, 2014 – That Girl is Stacked! She certainly is … Stack-packed to be exact! 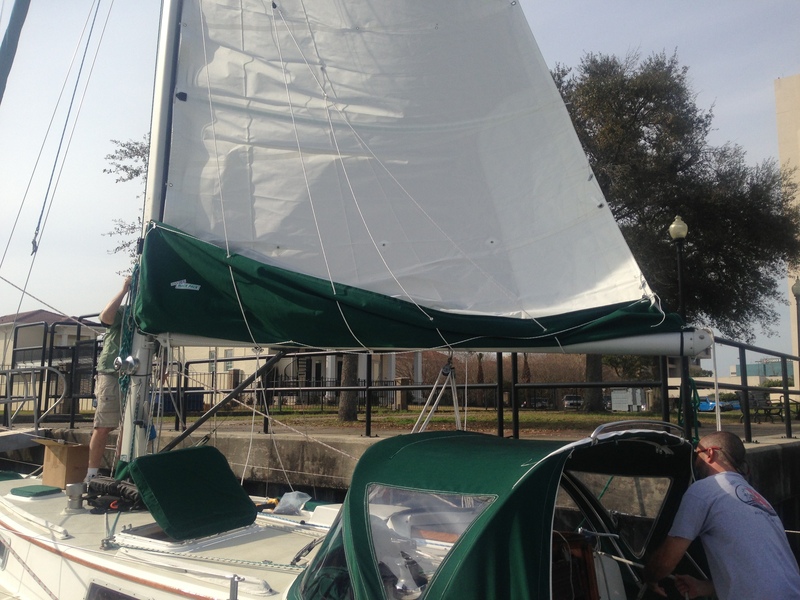 We finally got the stack pack installed for the new main sail. As with everything on the boat, the decision of whether to ditch the old, removable sail cover and go with a stack pack was a tough one. Finding the right equipment for the boat is somewhat like finding the right woman. There’s always going to be a compromise. Some are flashy and beautiful – sure – but they’re also high maintenance (teak decks, for example). Some are smart, but they “talk” too much (instruments that beep, buzz — or worse — are overly-sensitive: press one too many buttons, and she just shuts down). There will always be pros and cons. Take the old sail cover. 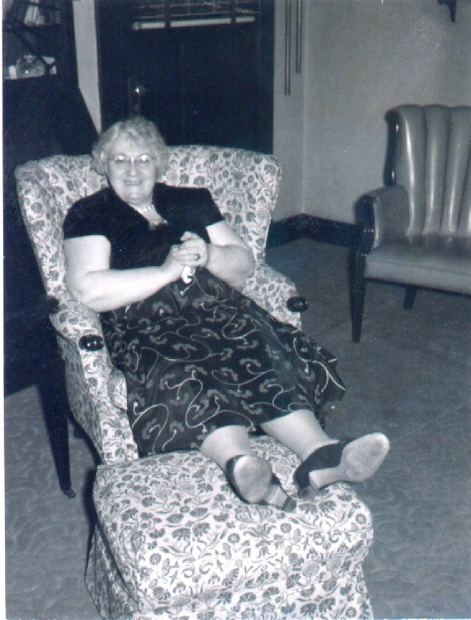 I like to akin her to … an old 1950’s housewife. but it takes some work to get her up and out of the house. 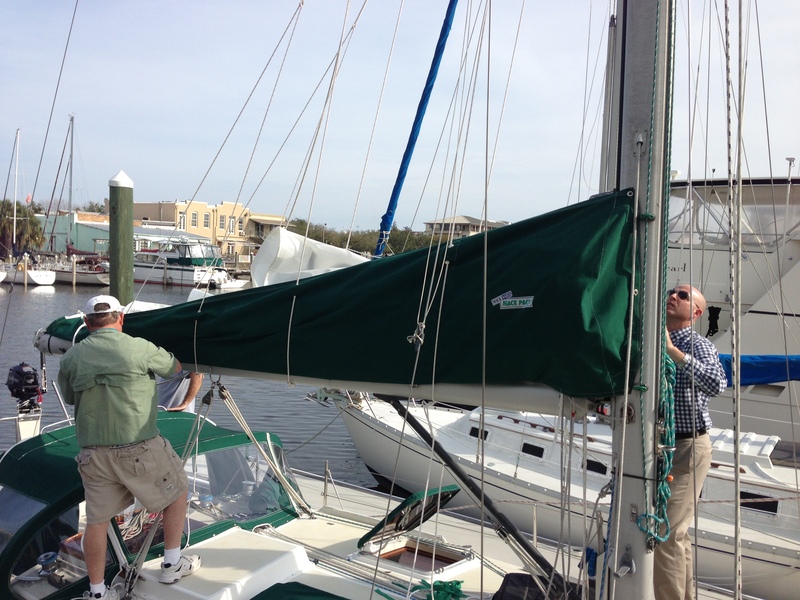 Also, when we used to drop the sail, we had to tie three tie-downs on her after flaking before putting the cover on. We did, however, only have two lazy jack points that the battens in the old sail would occasionally catch on when raising. We always had to have one deck-hand at the boom when raising to wrestle and shake the battens loose in order to get the sail up. The stack pack, on the other hand, has six. And, a much narrower ‘shoot’ for the sail to raise through. I was worried, at first, that this would cause real issues when raising the sail. But I will say, the battens in the new main sail are far less obtrusive than the old and we’ve raised her now several times in and out of the stack pack with even less issue than before. Unfortunately, though, the new stack pack is a little skimpier than the old sail cover. More Sarah Jessica Parker than prude housewife. Her ‘dress’ doesn’t come around the mast like the old sail cover used to, so she doesn’t cover the spinnaker halyard, the inner forestay and other lines we keep tied on the mast like the old cover did for UV protection. The stack pack also stays on the boom at all times so we cannot see the foot of the sail when sailing. So far, however, we have enjoyed the ease of dropping the sail into the stack pack (although we still try to flake it down into the pack) and zipping her up and calling it a day. Much less work than dragging the sail cover up from the galley and fastening her in place. And, I mean – c’mon … it’s SJP. Who did you think we were going to choose? So – new stack pack. Installed and operating. Done and done. On to the next! This entry was posted in Boat Projects, Cruise to the Keys 2014 and tagged lazy jacks, mack pack, raising the sail, sail cover, sarah jessica parker, stack pack, uv protection. Bookmark the permalink. 7 Responses to February 24, 2014 – That Girl is Stacked! Wow, so much knowledge. The frumpy old lady compared to sarah Jessica parker is a real hoot. Trust me, strong women Never shut down, they just use their wisdom & carry on. Still laughing, lol. Nice boat ! While I do agree, the “frump” is probably a much safer bet but men just can’t help going for the gal in the little black dress sometimes! Am I right? Glad you enjoyed it. As always, good to hear from you! Oh, I so much agree. The boat looks so good ! Now that’s a 1st class act. Hope u guys get the list of chores completed soon. Thanks! We sure are plugging away at it. The Keys or bust baby! We’re almost there!